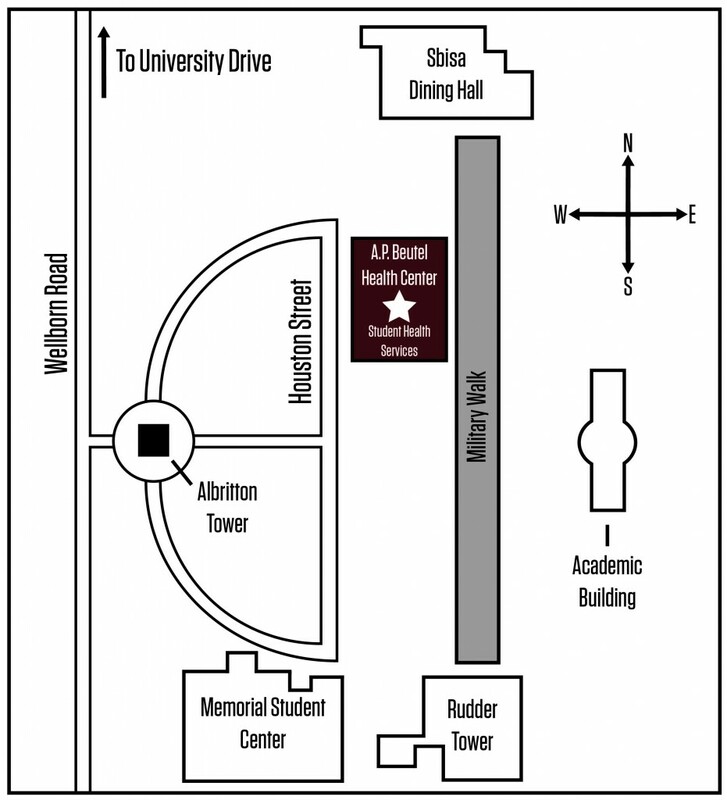 Student Health Services is located at the A.P. Beutel Health Center, across from All Faiths Chapel and Sbisa. Mailing Address: 1264 TAMU, College Station, TX 77843. For general information, call (979) 458-8310 or email info@shs.tamu.edu. For part-time staff, professional staff, and student employment information, please visit the SHS Employment webpage. To access open positions, please visit jobs.tamu.edu. All open positions at Student Health Services will be listed on this website. If you are a current Texas A&M University student seeking employment opportunities, please visit jobsforaggies.tamu.edu for open positions and descriptions. For general inquiries, please fill out the below form.